Serbian Koljivo (also known as zhito) is a sweet boiled wheat dish used liturgically in the Orthodox Christian tradition. Compare koljivo to Polish kutia, and Russian kutya and Ukrainian kutya. They are virtually identical, but the most striking difference, perhaps, is that Poles eat their wheat pudding almost exclusively on Christmas Eve, and Orthodox Christians eat theirs on Christmas Day and after a funeral, on the first Friday of the Great Lent, and at slavas. Of all Orthodox Christians, only Serbians have a slava -- the custom of celebrating a family's patron saint's feast day. Recipes vary widely from household to household, but the pudding usually consists of boiled wheat berries with honey or sugar, nuts and, sometimes, dried fruits, cinnamon, and cream. Place 1 pound picked over wheat berries in a large pot or Dutch oven and cover with several inches of hot water and let stand for 1 hour. Drain and wash it well in lukewarm water 2 times. In a large pot or Dutch oven, bring washed and drained wheat berries, 4 quarts water, and 1 teaspoon salt to a boil. Reduce heat and simmer until tender. Do not overcook. When wheat is done (anywhere from 90 minutes to 2 hours), rinse in lukewarm water and strain twice. Let the cooked wheat berries stay in the strainer over a bowl to catch the drips overnight. The next day, mix cooked wheat berries with 1 pound finely ground walnuts, 1 pound confectioners' sugar, vanilla, rum or almond flavoring and 1 teaspoon cinnamon. Transfer to a large glass bowl and decorate. To serve for a funeral, mound the koljivo into a shape resembling a grave. Sometimes the entire surface is dusted with confectioners' sugar and the deceased's initials are outlined on top with raisins, or a cross is made with raisins or sugar cubes. A candle often is placed in the center of the koljivo and lighted at the beginning of the memorial service and extinguished at its end. After the ceremony, those attending the funeral eat the koljivo while expressing good wishes for the departed. 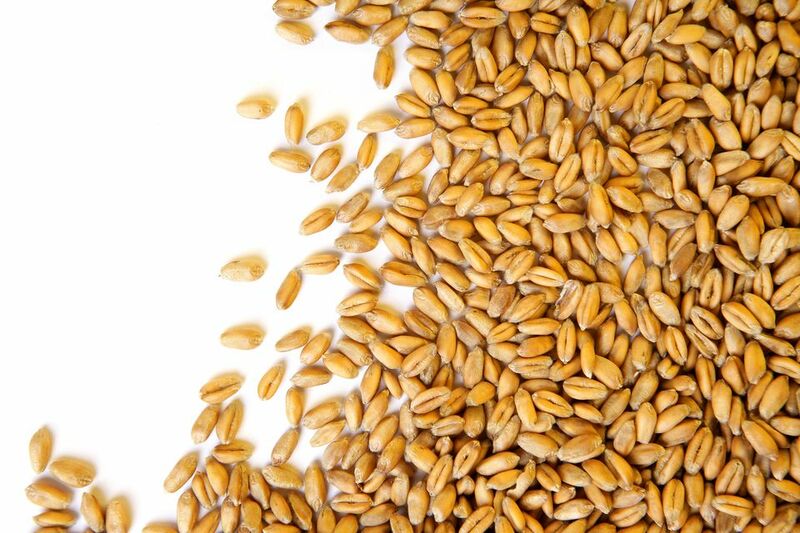 Wheat berries are available at health food stores and online, but kamut berries or rice can be substituted with good effect (the cooking time must be adjusted according to the type of grain used).